Anyway, I made this little number for myself and am trying to get a few wears in before it's time to break out the tank tops in March (I'm only half kidding). I really like that it's comfy like a robe, but looks pulled together to wear out. I also like that it's the perfect length to wear with pants or leggings. It seems really hard to find tops that meet that target, so I figured it was worth sharing. 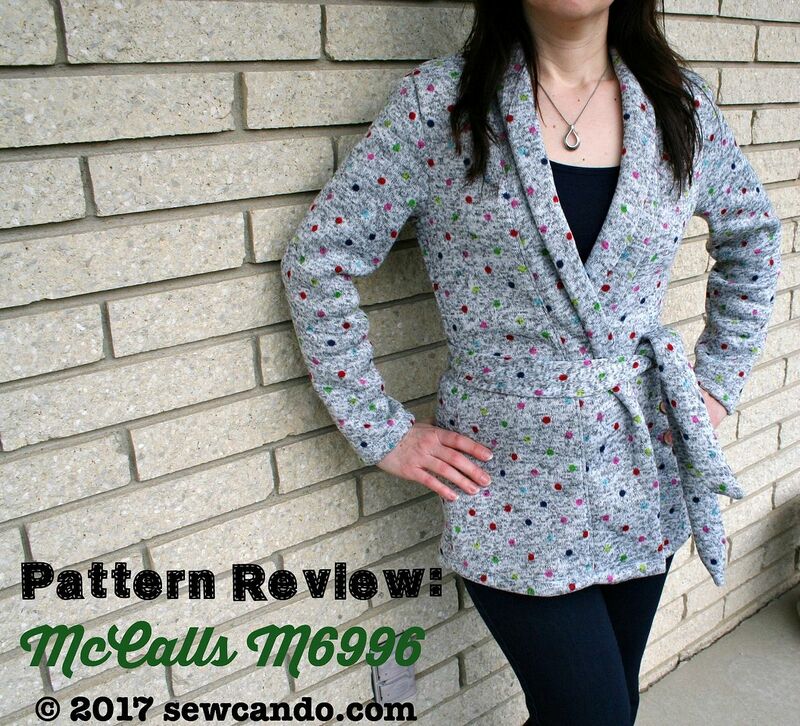 I used McCalls 6996, view D. I'd tried view A first but that ended up in the donate bin because the fit was so bad. Like unfixable bad. I think using a less floppy fabric for D made a difference, as well as the fact that I made an XS instead of M. McCalls sizing is whack and, in my experience, should be ignored. I've noticed this with several of their women's patterns. They say my measurements are a Medium and it's always MASSIVELY big. Like I was a kid trying on mom's clothes. I made this one in the XS and it was perfect, so moral of the story is go with what letter size you normally are and forget their numbers. 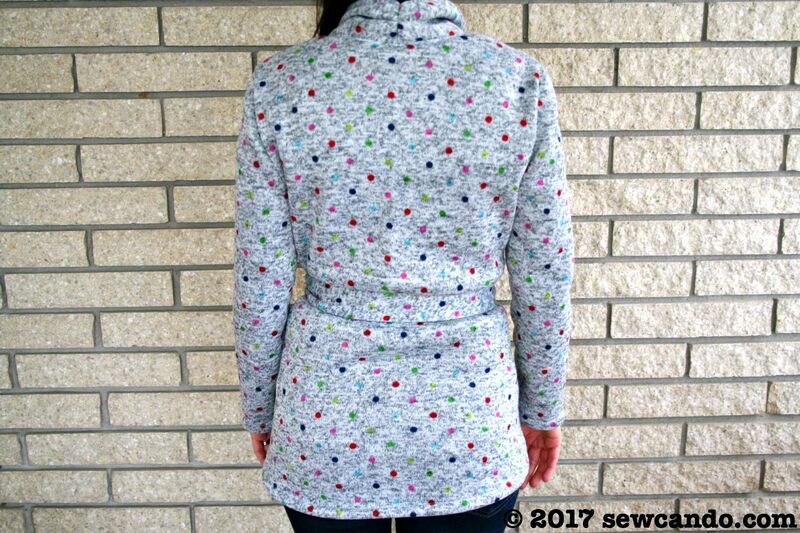 This was made from sweater fleece - basically sweater knit with a fleece wrong side. 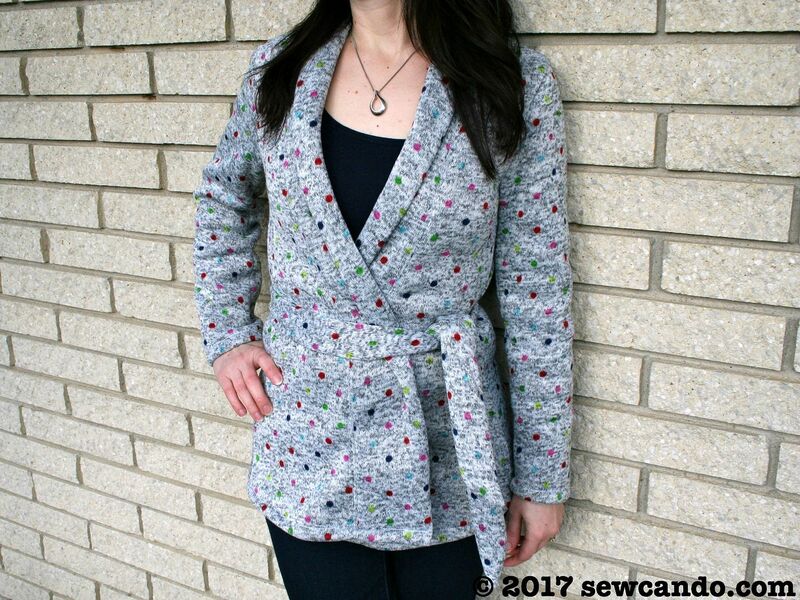 It's very forgiving to sew and feels cosy, so good for top layers like this cardigan. While I love that it's not boxy & bulky like a lot of similar shapes, making the belt is key. It's got a flared shape so it'll make hips look larger if just worn open. Dear McCalls, most women aren't looking for clothes to make hips look wider. I liked that this was an easy sew - just an afternoon. 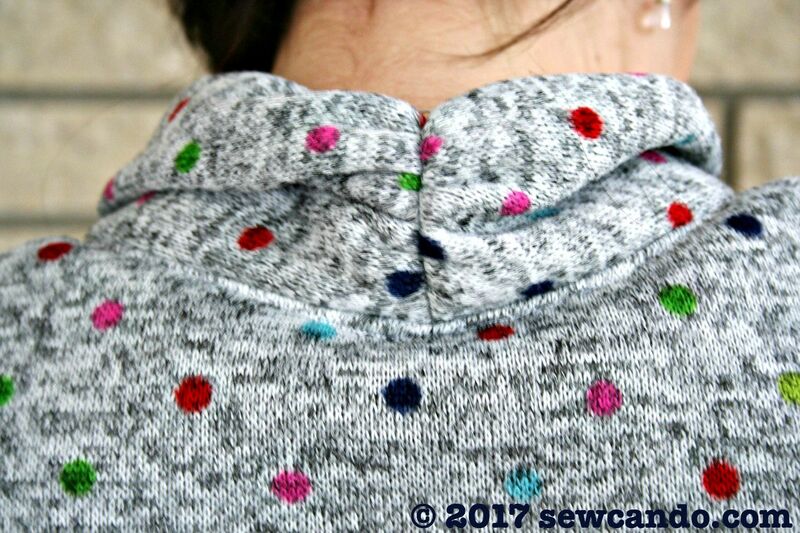 The neckband/collar was fairly simple to do and has a ruching at the nape so that it lies just right. The medium/heavy weight of the fabric really works with the style. Anything lighter would tend to bunch or cling to whatever is layered underneath, but this doesn't. I bought the pattern on sale for 99 cents and as it doesn't take a lot of fabric, it made it pretty economical. I think the fabric was on sale too so it cost less than $15 total. Definitely worth making. Super cute! I agree with the sizing, I rarely ever look at what the envelope says I'm supposed to make and the results are usually so much better. 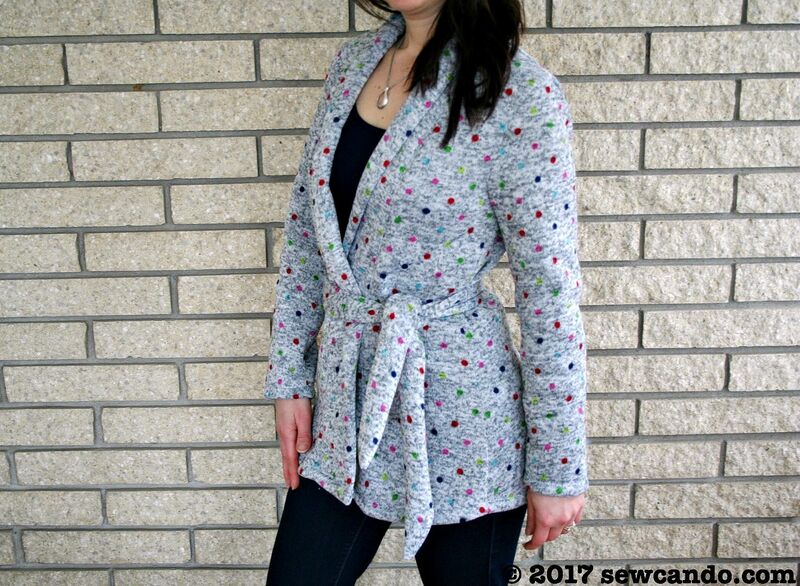 Thank you for sharing such a lovely cardigan making ideas. If you are looking for Wholesale Clothing For Women, then you can visit at MYBELOVED. It provides huge collection of women clothes as per your need and budget.